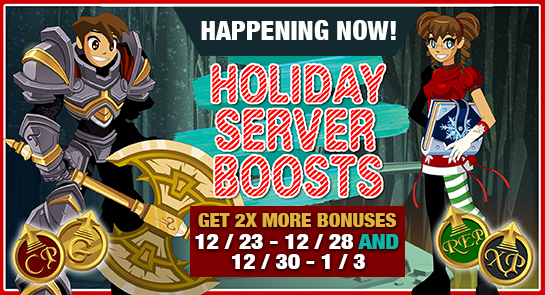 Weekend of Love Server Boost! 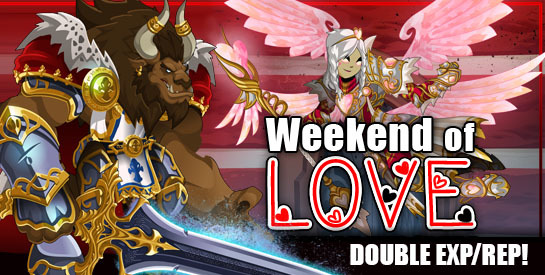 The boosts end Monday, February 15th -- so until then, get your battle AND your love on! Get More Rewards while you Wreck the Halls! Tis the season to be giving... that's why we've doubled the Clsas Points, Reputation, Gold, and XP rewards on the servers until Monday, Dcember ! When you're not wrapping presents, eating cookies, and spending time with your family, log in and BATTLE ON, because there's no better time to level up!